From Monday 6 to Friday 10 August, Rathfriland Community Centre will be hosting a high energy Dance camp for 5 – 11 year olds. Running from 9.30am – 11am daily costing £12 per person. 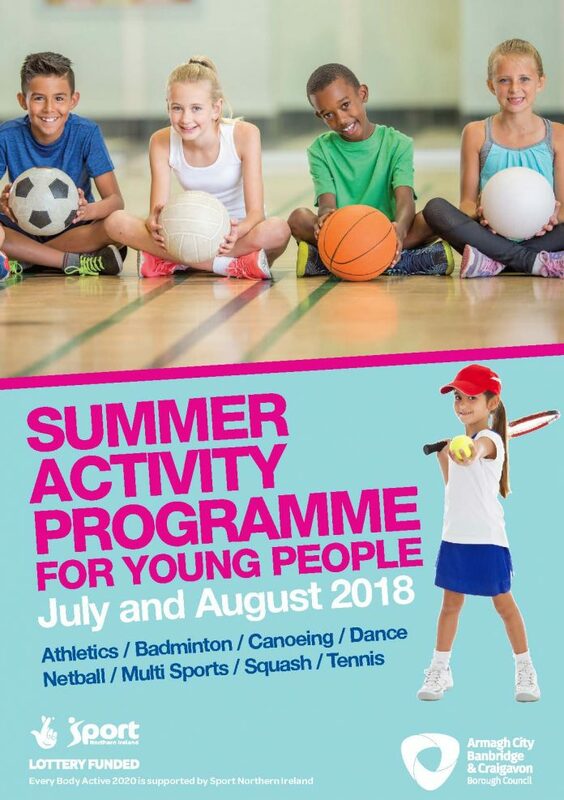 Havelock Park, Banbridge is the location for an action packed Athletics camp running from Monday 6 to Wednesday 8 August, 10.00am – 2.00pm daily. Places are available priced £18 per person. Dancing divas aged 5 – 11 years will also get to show their moves at Banbridge Leisure Centre’s Dance camp from Monday 13 to Friday 17 August from 9.30am – 11am daily. Places available costing £12 per person. 8 to 11 year olds will be jumping for joy at the Netball camp taking place at Banbridge Leisure Centre from Monday 13 to Friday 17 August, 11.30am – 1.00pm daily. Limited places are available priced £15. It’s all round action for 5 – 11 year olds at the Multi Sports Camp in Rathfriland Community Centre from Monday 20 – Friday 24 August from 10.00am – 2.00pm. Places cost £25 for the first child and £20 for each additional child from the same family.